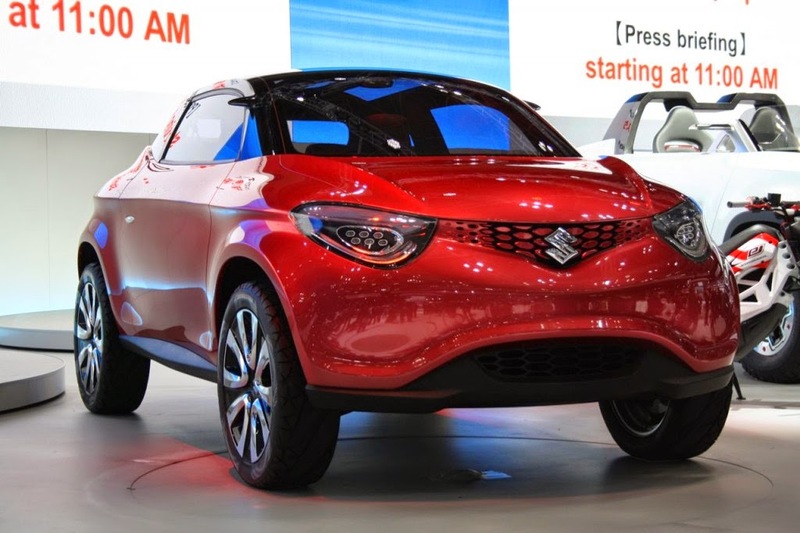 Suzuki bring back the SUV mini car and coincides with the Sao Paulo Motor Show 2014 which became its debut appearance, the car was named Suzuki Crosshiker, as reported from Indian Autos Blog on Monday, November 3, 2014. The car is based on a lightweight platform of Suzuki Regina. 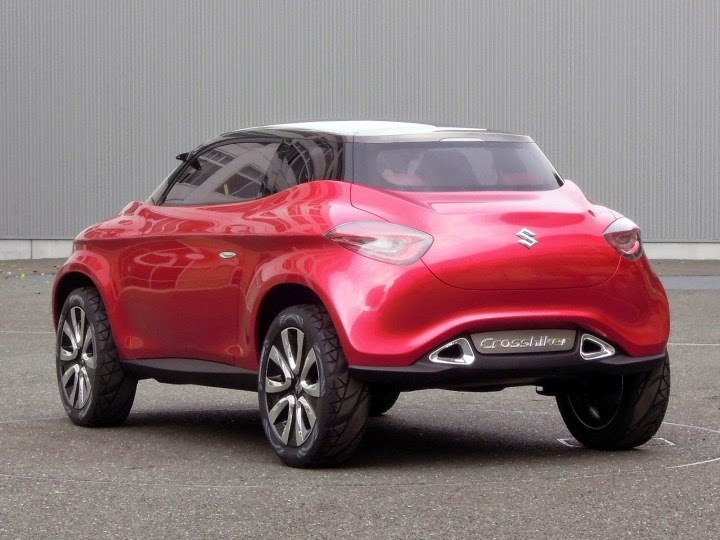 Presented on last November at the 2013 Tokyo Motor Show, the Suzuki Crosshiker builds was conceived as an alternative version of the Regina, the concept car packed with lightweight and fuel-efficient technologies that was exhibited at the 2011 Tokyo Motor Show. The shape is very unique, something like the Nissan Juke-rounded, but it's more aerodynamic look and could only accommodate two passengers. Well, the big size of its rim and tires pinning a solid and resilient impression. Evolving the Regina’s basic idea, the Crosshiker adopts a crossover layout and a more exciting styling, targeted to adults – mainly female customers – with a playful mind. The exterior design expresses dynamism thanks to the peculiar proportions defined by the combination of a width of 1695mm, length 3650mm, height 1540mm and wheel-base 2425mm with the compact glass cabin. The surface treatment makes use of organic and expressive shapes with curved surfaces defined and sculpted by flowing, creased lines. And for the interior design expresses a sporty and modern mood and features a construction made of multiple layers that wrap the driver and passengers like within a shell.